Every year at this time there is a long discussion on what we have learned so far this year. After the rollercoaster that was 2017, this year’s discussions are no different. So let’s go for it. The lads from the 2016 U21 team are bedding down into the squad and coming more to the fore in consideration for a first fifteen slot. Eoin O’Donoghue and Stephen Coen are the men making the breakthrough in the back six. Diarmuid has been in the front six for a few years, but Conor Loftus is now also hard pushing for a start, with Fergal Boland likely to be one of the men getting game time as well. Maybe in time, Cian Hanley will slot in too, but I think that he might be a year away from making his breakthrough. Likewise, I think that Shairoze Akram is still a year away although he has bulked up a lot in the winter months. It was heartening to see Caolan Crowe getting so much game time and the way he marked McBrearty especially was absolutely textbook stuff. The competition for the 2, 3 and 4 jerseys is now fierce with Harrison, Crowe, Cafferkey, O’Donoghue, Higgins and Barrett all in contention. At 5, 6 and 7, Vaughan, Durcan and Boyle are the most likely men for now but Coen played every game in the league, Keegan will be back as the days get warmer and Higgins or Barrett are equally at home in that line. Whoever starts I would like to see the trademark fast break from this line being a feature of our play for the rest of the year. Coen spent a good bit of the early league at midfield and with two of the lads (Barry and Sheamie) having been around as U21s in 2006, we need to develop options there. It’s likely that Sheamie and Tom will be the 8 and 9 for the summer but Shane Nally is also a possibility and Diarmuid O’Connor or Lee Keegan could also do a job there as time goes on. In the forwards, it’s hard to see anyone getting ahead of Kevin Mc, Aido and Diarmuid, although Boland continues to improve and both David Drake and Adam Gallagher had a few good runs out in this line (regardless of the numbers on their backs). Whoever plays here will provide the link from the running half-backs to the scoring forwards. In the front line, Andy, Cillian and Jason Doherty are being pushed hard by Conor Loftus. Evan Regan provides another option in this line. Whoever starts in there needs to revert to running into scoring positions before they get the ball. This was how the team transitioned during the summer of 2017. Lee Keegan (when fit) will come in later in the summer and dislodge one of the backs. Conor O’Shea will push Nally and Gallagher for their place. I don’t know about the rest of ye, but this April has seemed very long to me. Sunday week is now looming and I can’t wait. Make no mistake, Stephen Rochford and his management team are targeting this game and we will certainly be much more prepared for battle this year. Ah yeah we’re on our way. We won’t be stopped in Connacht this year. Indeed we should see out the remainder of this decade unbeaten in the province. Midfield seems to be an area we are a little short on. Tom and Seamus aren’t getting any younger. Coen (a half back) and Ruane (a half forward) were the pairing for the under 21 team. Are there any good midfielders coming through the ranks? Scott (Westport) has been a stand out club player and Micheal Forde (Ballycastle) another great footballer who hasn’t got a look in. Trying to asses midfielders is like trying to assess boxers. You need a few high level face offs to actually see who is the better talent. They can all look the part playing lesser opposition. If thats the case JP then Shane Scott would have beaten Parsons on a points decision in last years championship meeting. John Reilly from Kiltane also KO’D SOS in this years game. Don’t know what age the two lads are and not saying they are better than what we have. Would be interested to see if there are any other players around the county who are good natural midfielders. 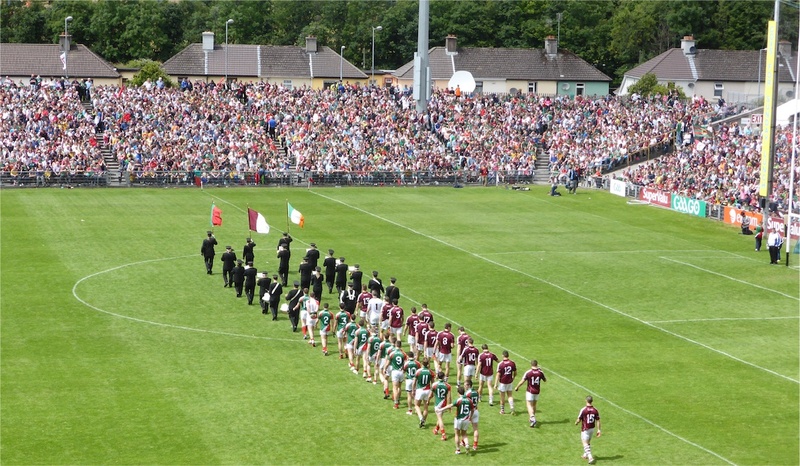 Looking forward to the 13th, I really think Adain has a huge part to play in this game,he has to stay in front of the D ,and stay there ,let centre field drop the high ball into him he lay it off to our running forwards?, this I think will break this Galway “blanket Defence,and this should force Galway to play man to man Football,hon Mayo ?? Good piece Fourgoal. While there are 33 players competing for the Maych Day 26 – I wouldn’t say it’s safe to assume for Regan to be on that match day program…I think Douglas could have an equal if not better chance of making the 26. Danny Kirby or Conor O’Shea for me to be among the half forward options off the bench ahead of Drake, however, we’ve all seen Rochfords preference in this regard…Plenty of great options here in most lines apart from our full forward line which is likely to be our weakest area again this year. This is one of the most difficult games to make an accurate call on the winning ticket in many a year. Firstly you have to throw the local Darby into the mix, coupled with this sandstorm you have the recent adaptation of the ultra defensive setup of Galway and that’s presuming that they will invest in this particular hourglass gamble. 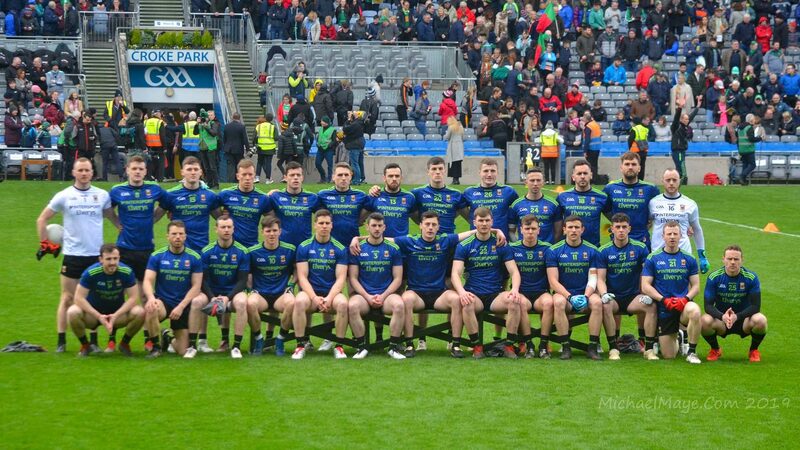 They could well setup in the trenches for a relatively brief period in this formation and then morph into a more traditional style to unsettle the undoubted well rehearsed mayo counter system. Walsh is gutsy and he has the ear and respect of all his players, they are better than the results of recent years would indicate and a team learns hard lessons in defeat. Mayo are a team that have been bruised in the National League but still remain standing but the Championship has left deep oozing scars in the psyche of all involved. Galway were in my opinion extremely fortunate in ‘16 and ‘17 to put ye out of the frame in Connacht. Mayo are real warriors and never out of the plans of the top team managers no more than Dublin, Kerry and Tyrone are outside Rochford’s war maps. Keegan’s loss is very unfortunate and I believe prospective fires will be kindled and flourish in his absence. He is a warhorse and along with sryming his designated victim he does so much to disentitle the perceived training ground confidence of the championship untested opposition. Mayo have a bloody nose and yau are the last team I would like to face in that mode, Mayo have year after year ended holding the handle of the dagger of victory in big games. A couple of weeks ago I would have said that this is Galway’s Connaught championship to lose but as the date nears I have an inclining that pride will get yevover the line. Comer could well send me to the remainder of the cherry tree blossoms make poetry and dream of Springs a new but an old wounded bear is just bloody dangerous until they expell their last. Does anyone have information on Mayo Junior Squad for Wednesday night?? Roscommon are to field a number of Senior players including Cathal Cregg, Ultan Harney, Peter Domican, Niall Daly, Conor Daly, Ronan Daly and Fergal Lennon who are eligible to play for the juniors after not featuring in last year’s senior championship. Players who are eligible to play include former Mayo Under 21s of the the last few years. Not sure will Adam Gallagher and Cian Hanley be released by Rochford as both are eligable and I think James Carr is still out with a Hip injury. This is Mayo’s year, roll on May 13th! It’s almost time for the football madness to begin. A tough time of year for most teams when they learn the difference between the league and the championship. Mayo are a championship team with the calibre to roll any team in the country. A truly epic era to be a Mayo fan. The bigger the pressure the more you know our boys will show up. It’s going to be a great year. Write it down. This is the time of year that the trolls come out to play as well, beware! Well summed up Fourgoals, on paper it looks like we have a stronger squad of players to pick from this year. That is if they can get up to the same sharpness and fitness levels as last year. Its all to play for, best of luck to all involved! God Sean Burke you’re a barrel of positivity. What you think about you bring about… believe… Even Mickey Harte believes it’ll be someone else this year. So do I… BELIEVE…in Mayo…go deo!! Sean, luckily Sam isn’t handed out in May. Mayo don’t need to be good enough to lift Sam, just good enough to beat Galway.